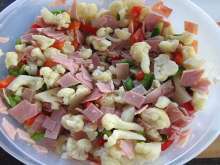 Delicious salad matching with roast and fried meat. 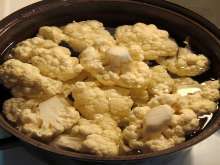 Separate the individual florets from a head of cauliflower, wash them, put them in a pot with cold water, add salt and cook until crispy. Be careful not to over-cook them. 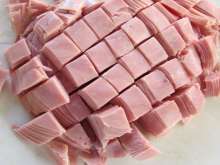 Drain, cool and chop them. 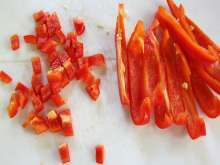 Core and clean red pepper, wash it and cut into small cubes. 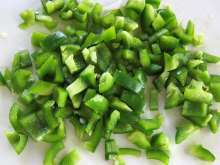 Prepare green pepper the same was as the red one. 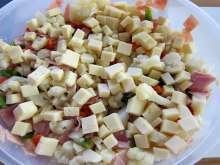 Cut cheese into small cubes and mix them into salad. 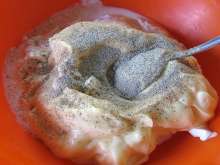 Mix sour cream with mayonnaise and ground white pepper. 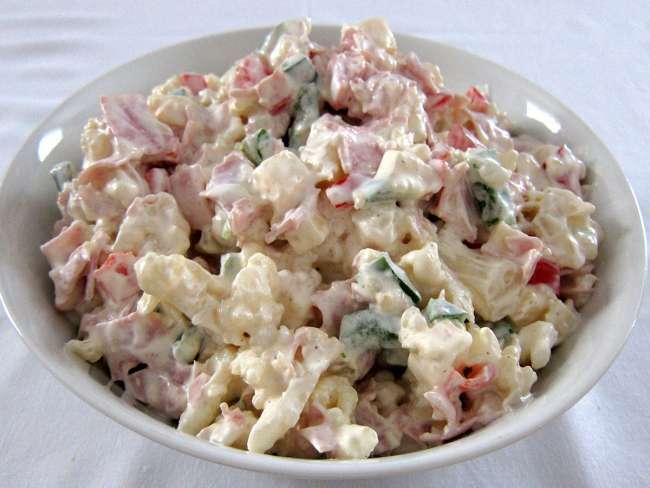 Stir dressing into salad and place the salad into refrigerator. Let it rest for 24 hours. Stir the salad several times during the resting time.